Positive Energy has been busier than ever with new design work, but we've also got some great projects finally built and getting some remarkable recognition. We're so proud to be involved with the great partners we have. Our clients partner with us to manage the complexity of delivering comfortable, healthy spaces in their projects. And we're proud to work with alterstudio on their residential work because they're a firm who cares deeply about process and the outcomes they deliver for the homeowner. Our communications are smooth and the more we work together, the easier it is to anticipate one another's needs. To-date, we've designed integrated mechanical systems for dozens of projects together. Alterstudio focuses its attention on the relationship between the material facts of architecture and the social occasions it shelters and invites. The work is rooted in deep-seated virtues of architecture – generous space making, shrewd manipulation of day lighting, and meticulous attention to detail. The heightening of direct human experience and the framing of the complex circumstances of their situations are at the core of each project. We think they're absolutely fantastic and to play a small role in helping deliver their vision is such a rich experience and rewarding endeavor. 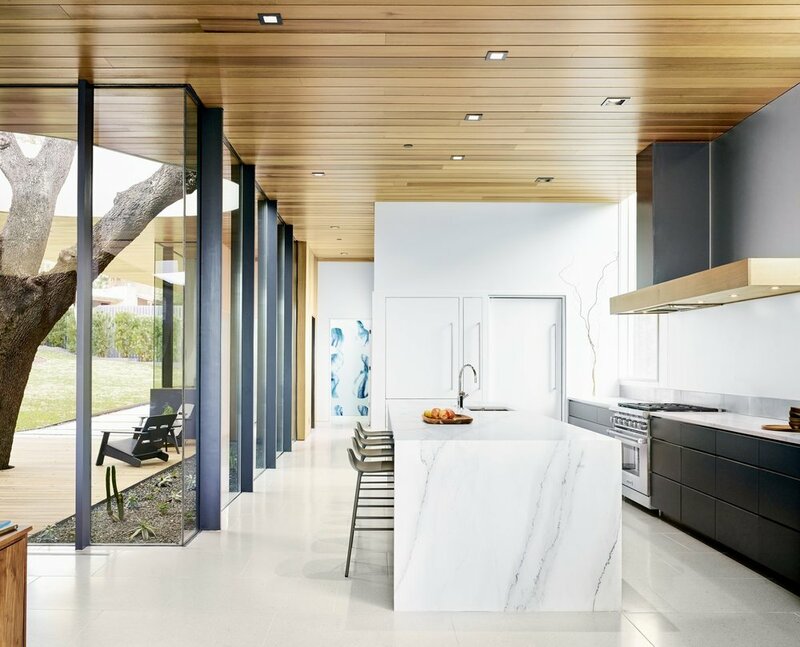 If you're in Austin and came out to the last AIA Homes Tour, you were lucky enough to walk around in their Constant Springs Residence for which we designed mechanical systems. The project has received quite a lot of attention lately, most notably the cover of the most recent edition of Dwell Magazine. Structural coordination and aesthetic integration was key on this project. There was no stone left unturned in detailing. 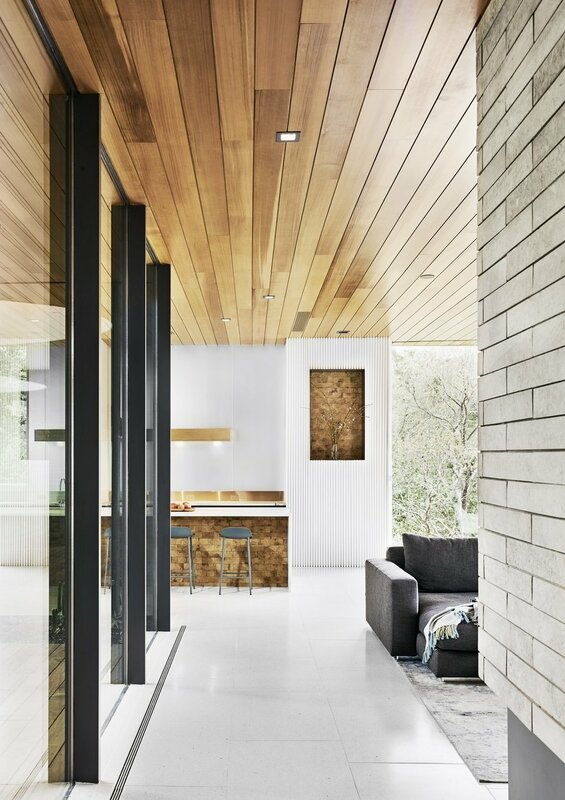 Alterstudio also earned Luxe Magazine's RED Award for AUSTIN + SAN ANTONIO Regional Winner, Contemporary Architecture. Moral of the story, we're very proud of our work together and can't wait to see what these incredible and thoughtful colleagues of ours keep cooking up. We'll keep you posted on future collaborations. Jen Weaver is an architect and developer passionate about the market realization of high-performance buildings. She actively participates in Urban Land Institute, particularly the FutureBuild Committee, and is a member of United States Green Building Council. Jen currently attends the University of Southern California Price School of Public Policy seeking a Master of Real Estate Development. Her research describes the potentials of greenhouse gas capture and Clean Air Infrastructure Real Estate futures. The Haskell Health House is an urban garden home steps from Lady Bird Lake, Austin, Texas. Thoughtful interior spaces fill the home with over 1100 sq ft of landscaped living featuring an outdoor kitchen, dining space, cocktail lounge, master screened porch and a roof deck with lake views. We had a lot of fun designing with Jen on this project, thinking deeply about indoor air quality and thermal comfort. Most recently her project was featured in a spread by Green Building Magazine Taiwan. We're proud to announce to our readers that the student team from Prairie View A&M University, under the guidance of their professor Shelly Pottorf took home a few major awards from this year's Race to Zero Student Design Competition. Turns out, this wasn't the Prairie View A&M team's first rodeo. They're a really sharp bunch. The Race to Zero is a U.S. Department of Energy competition that inspires collegiate students to become the next generation of building science professionals through a design challenge for zero energy ready buildings. Students become part of a new leadership movement to achieve truly sustainable buildings. The Race to Zero is formulated to advance and enhance building science curriculum in universities. Through this competition, future architects, engineers, construction managers, and entrepreneurs will gain the skills and experience to start careers in clean energy and generate creative solutions to real-world problems. The team from Prairie View A&M turned out to be the cream of the crop this year, taking home first place not only their division contest in Urban Single-Family Housing Contest, but also the Grand Award for the entire competition. We are SO proud of their work and dedication to the project. We worked with the Prairie View A&M team to help bring their vision to life in a functional way. We advised the team on an array of topics - systems thinking, design thinking, thermodynamics, mechanical design, structural/mechanical coordination, enclosure detailing, and we provided mechanical and hot water design work for their project.